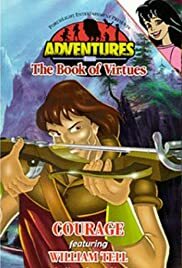 Follows the adventures of eleven-year-old Zach Nichols and ten-year-old Annie Redfeather as they suffer pain from issues involving other children. To solve these problems, they seek council from a group of anthropomorphic animals whose names come from the Greek - Plato, an old and scholarly bison; Aurora, a wise red-tailed hawk; Socrates, a rambunctious and wisecracking bobcat; and Aristotle, a feisty and bookish prairie dog. This ensemble teaches the kids virtues by telling them stories from the Book of Virtues. Written by Nate S.
Good show, if you get a chance watch it!